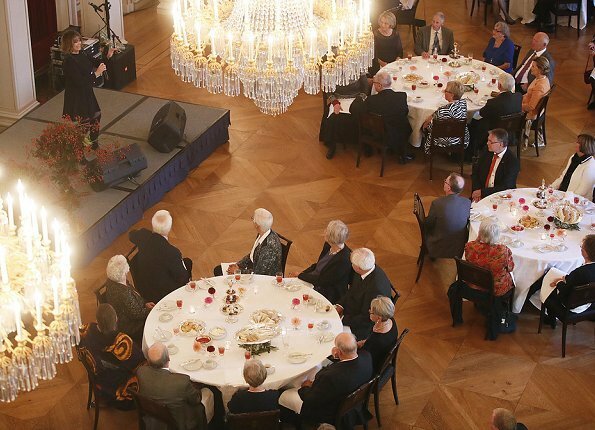 On October 17, 2017, King Harald and Queen Sonja of Norway hosted an 'Afternoon Tea' for elderly voluntary workers at the Great Hall (the Ballroom) of Royal Palace. 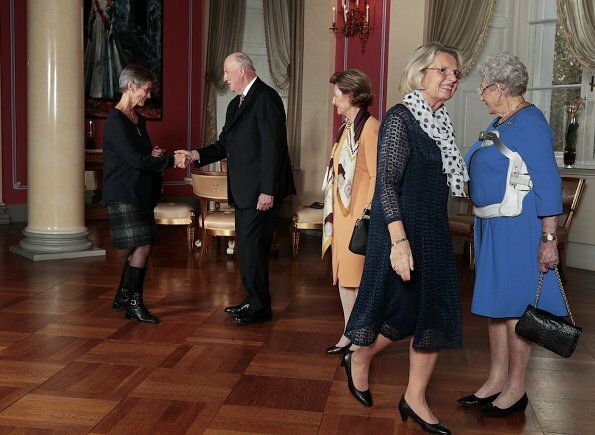 Princess Astrid, Mrs Ferner attended the event called Afternoon Tea, which has evolved into a tradition at the Royal Palace. In the first photo, they look like figures at Madame Tussaud's. What's that on Princess Astrid? I think she must be wearing a brace of some kind. It's back support. We have seen this on Princess Astrid from time to time after she got a painful hairline fracture in her vertebral last year. what is this, that blue dress is UGLY. Quin Sonja is beautiful . She probably wants to be comfortable and she may have additional braces under the dress (because of the hip fracture in July). My mother recently had spinal surgery and all she's worried about is being comfortable. I actually thinks it is a very nice dress in a very becoming colour. Granted we can't really get a fair view of it because of the back brace. What a trooper Astrid is to still represent! 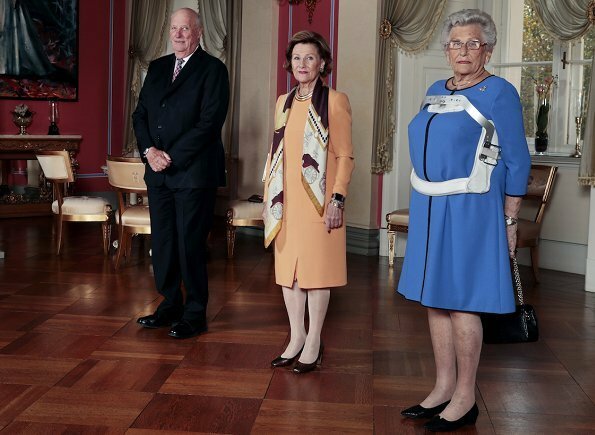 Queen Sonja looks good as usual. Is that some sort of back brace? Good eye. Yes, it is. Hope she is not also in pain. Indeed it is. Princess Astrid has health issues, and she´s a champ for still representing the country despite of those issues. I hope she´ll get better. And I think her blue dress is just lovely. She had a hip fracture in July and I wonder if she also injured her spine at the same time.